Triangle angle calculator is a safe bet if you want to know how to find the angle of a triangle. Whether you have three sides of a triangle given, two sides and an angle or just two angles, this tool is a solution to your geometry problems. Below you'll also find the explanation of fundamental laws concerning triangle angles: triangle angle sum theorem, triangle exterior angle theorem, and angle bisector theorem. Read on to understand how the calculator works, and give it a go - finding missing angles in triangles has never been easier! 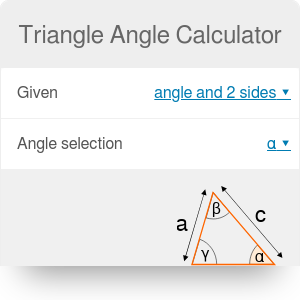 In all three cases, you can use our triangle angle calculator - you won't be disappointed. How do we know that? Look at the picture: the angles denoted with the same Greek letters are congruent because they are alternate interior angles. Sum of three angles α, β, γ is equal to 180°, as they form a straight line. But hey, these are three interior angles in a triangle! That's why α + β + γ = 180°. An exterior angle of a triangle is equal to the sum of the opposite interior angles. Every triangle has six exterior angles (two at each vertex are equal in measure). The exterior angles, taken one at each vertex, always sum up to 360°. 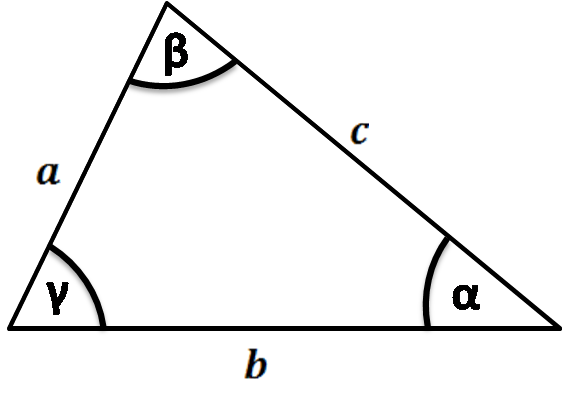 An exterior angle is supplementary to its adjacent triangle interior angle. 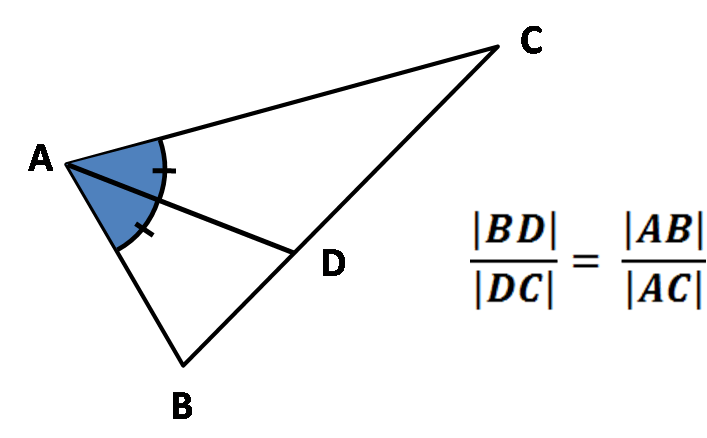 An angle bisector of a triangle angle divides the opposite side into two segments that are proportional to the other two triangle sides. Triangle Angle Calculator can be embedded on your website to enrich the content you wrote and make it easier for your visitors to understand your message.